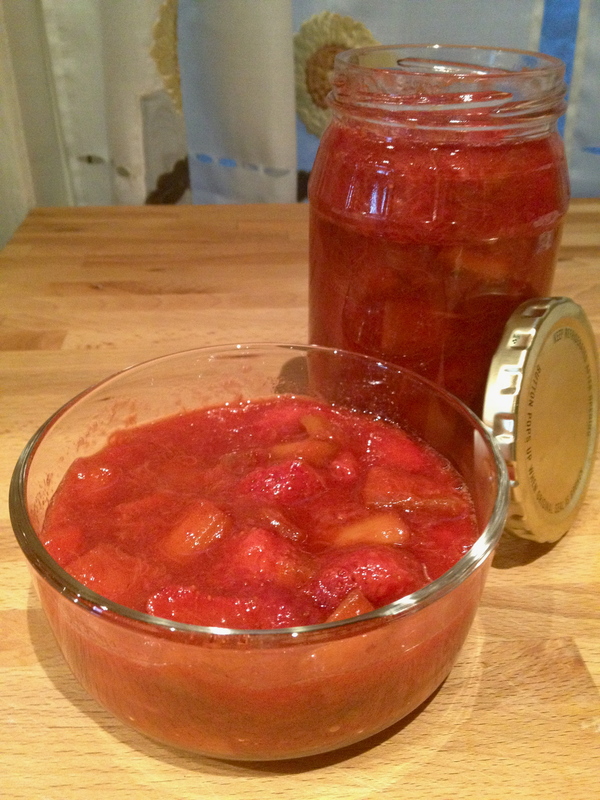 This entry was posted in Recipes, Sweet Tooth and tagged compote, dining and wine, easy, fruit, grand army plaza farmers market, healthy, light, local, locavore, melissa clark, new york times, photos, recipe, rhubarb, strawberry, sweet, video. Bookmark the permalink. 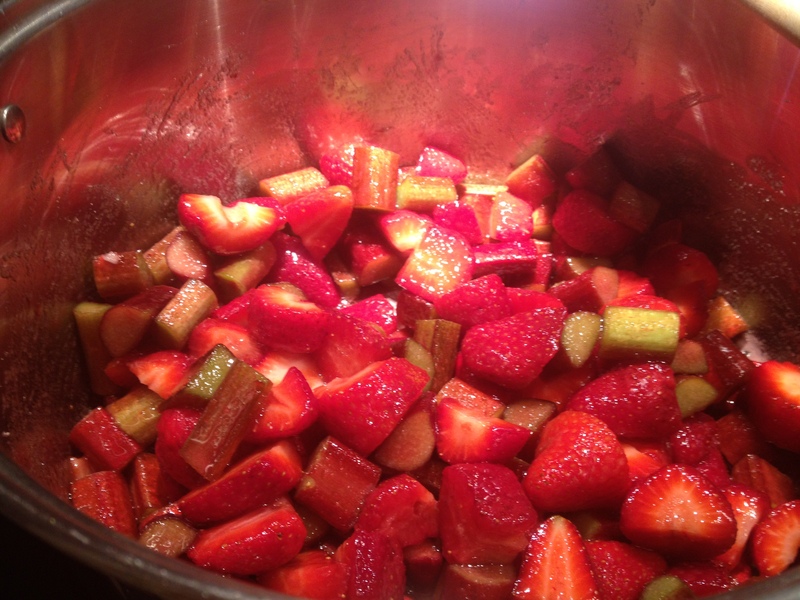 I live in the Hudson Valley, where the rhubarb prices $2.99/lb, but the other day they were $6.99/lb! I was not a happy camper. I’ll never know why it’s so expensive. It does take two years to take properly and you can’t harvest any the first year, but after that it’s basically maintenance free. The same store that sells the cut rhubarb also sells the roots, so tomorrow I’m going to go buy some and get them planted! In two years I can have all the rhubarb I want. Thanks for the tip! I should do the same. 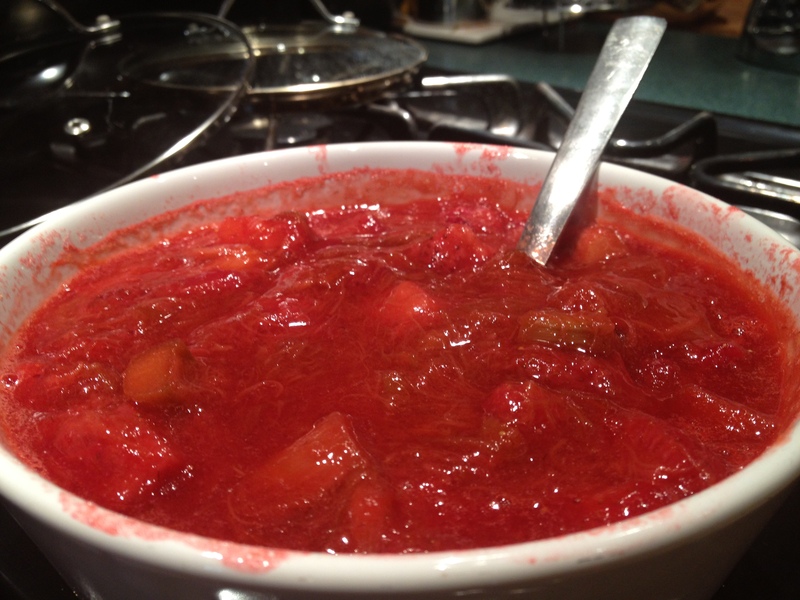 I am almost out of the compote and determined to get to the green market tomorrow morning in the hopes of finding more rhubarb and making more compote. So far I’ve had it with toast, french toast, greek yogurt and frozen yogurt. Delicious!